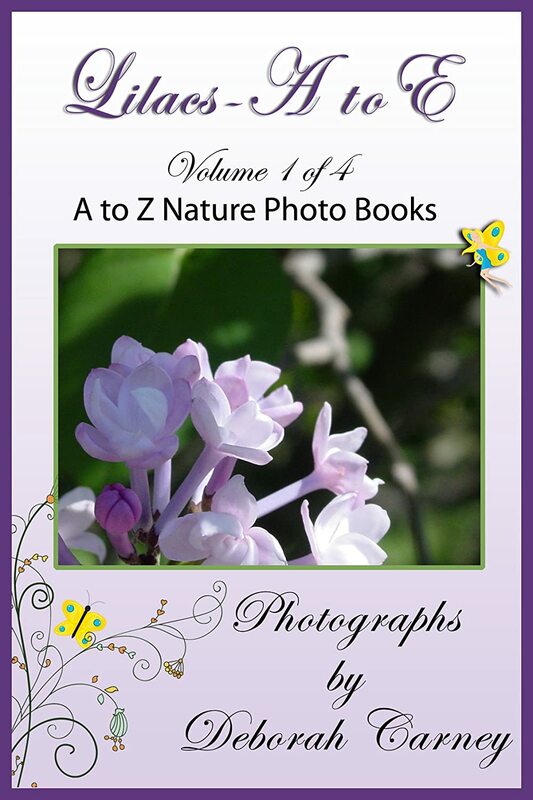 A series of books that identify full color images of Lilacs. All images are correctly identified from tags that were attached to the bushes at the time they were photographed. Due to the size of the completed books, we have broken Lilacs A to Z into four books, varieties that start with A through E, F through L, M through Q, and R through Z. Years ago I lived in Rochester, NY, which has a park with hundreds of Lilac bushes. Each spring there is a Lilac Festival, usually during the peak blooming season for the majority of the bushes. There are some that bloom ahead of the rest, and some late blooming, but since I lived in the area, I could photograph all the Lilacs at their peaks. I got my love of lilacs from my Grandmother, who had a beautiful, large lilac bush in front of her country farmhouse. Every Spring when we visited her the smell of lilacs floated in the air and through the open windows into the house. It was tall enough to shade part of the yard where I would sit and read. After photographing the Lilacs for years, I started to realize that I wanted to know more about them, what they actually were. After that I started photographing not only the bushes but also the tags and signs around them so that I could accurately identify the specific varieties. All identifications were made from tags attached to the lilac bushes as they were photographed. Any bush without a tag is not included in this book. I love lilacs and love photographing them and knowing what they are. So I set out on the project of identifying them as I photographed them over a period of several years.